The lightweight underchin-style transcription headset is designed to deliver excellent sound quality, with three sets of replacement ear sponges. Free ear cushions - Three extra ear cushions. Introducing Our New ECS WordHear-O 3.5 mm Antimicrobial Transcription Headset Generating Even Better Volume and Clarity than the leading Transcription Headset – Or Your Money Back! The ECS-WHUC3.5-A antimicrobial under the chin headset featuring true stereo dome shaped twin speakers. Designed to fit all ears, lightweight and comfortable. Antimicrobial - helps to keep those germs away! 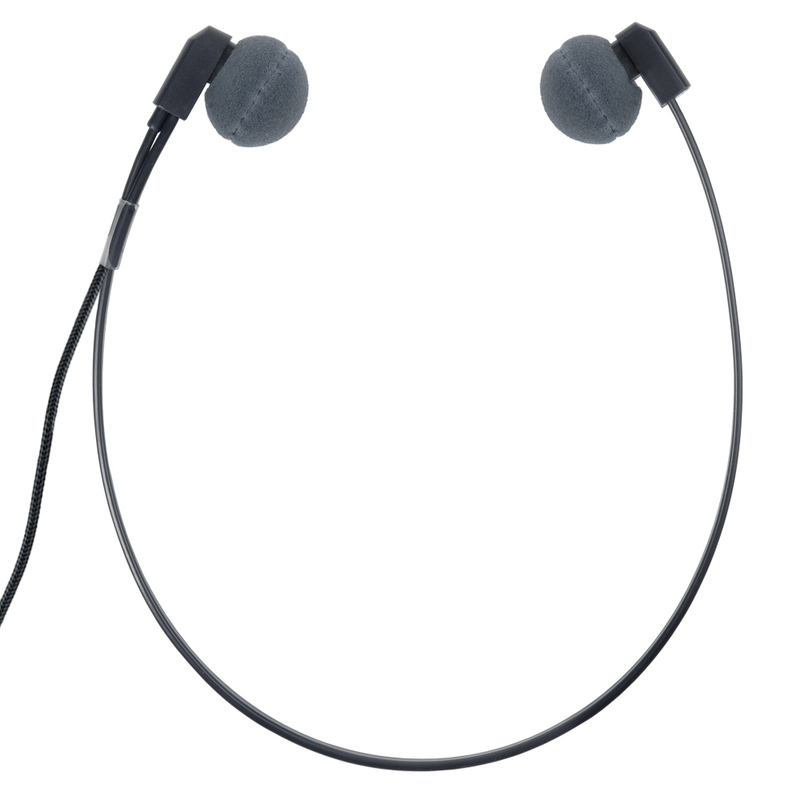 This WordHear-O 3.5 mm headset has a mono / stereo switch with volume control. This headset allows any transcriptionist the ability to use their headset for analog or stereo applications. 10 Foot cord for ease of movement. Headset comes with a carry pouch for storage. The WordHear-O 3.5 mm comes with 90 degree plug to extend lifespan of cord!